If there is one thing I appreciate about living in Hong Kong, it is the incredibly efficiency of the society in general. For example, if you need to go to the airport, you don’t call a taxi service a day in advance to make a booking. You pack your bags, get ready, pick up your phone and say, “I need a taxi to the airport.” The taxi company says, “You ready now?” You say, “Yes, now.” And in ten minutes, a taxi is outside waiting for you. It is a now-for-now society, because time is money, so you don’t waste time making bookings. The same applies to house hunting. You don’t call up a real estate agent and say, “I want to see some places tomorrow.” You simply go to the area in which you want to live, walk down the street, and walk into some of the agencies. You sit down, tell them how much you want to pay and how much room you want, and they grab the keys and take you. It is amazing. So far the house hunting has been a bit dismal. 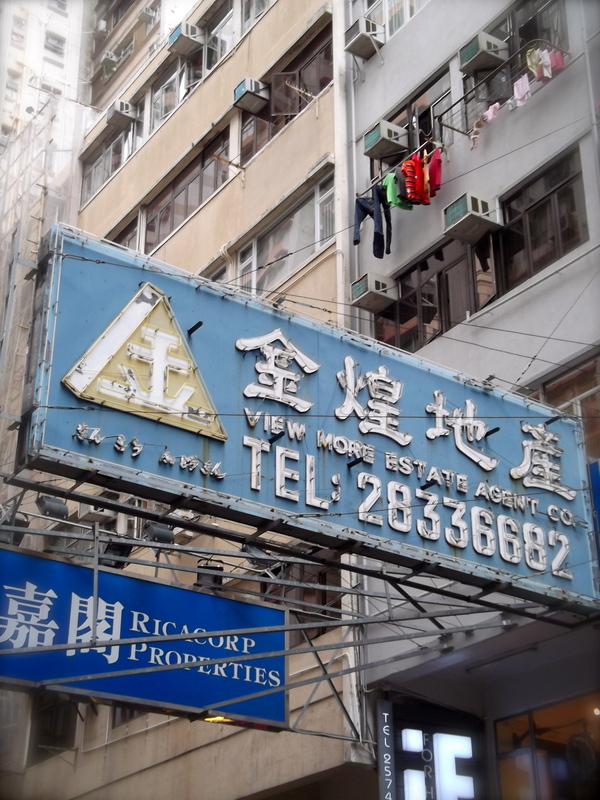 I am trying to find a new flat to rent on Hong Kong Island, which is the most expensive area of Hong Kong. To explain the geography, Hong Kong actually encompasses a number of different islands and territories, with Hong Kong Island itself being the real ‘downtown’ and Central Business District. This is why to live on “The Island”, as they call it, costs an arm, a leg, a kidney and your first born boy child. Hong Kong Island was where the British landed way back when, and claimed Hong Kong for the Queen. Over time Britain acquired the other territories. But to this day Hong Kong Island remains the most exclusive expat enclave, with some of the most expensive real estate in the world. 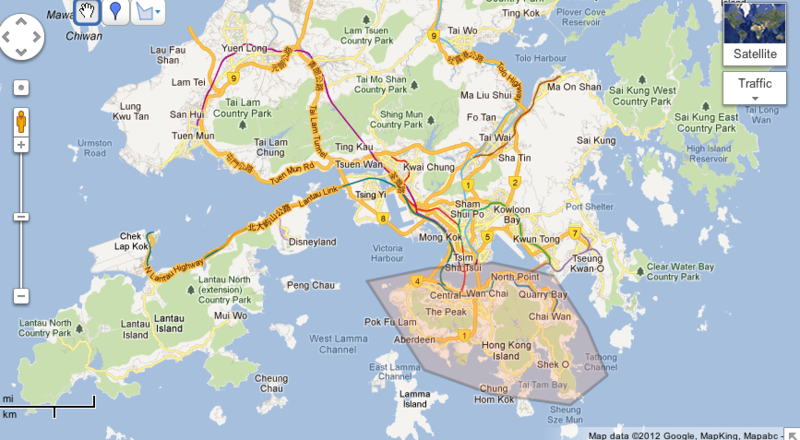 Hong Kong explained -- the highlighted area is Hong Kong Island, the area to the north is the New Territories which borders Mainland China, and to the far left is Lantau Island, where I have lived for 3 years. All of the areas in Hong Kong are well connected by train, highway, and ferry. That said, many ‘regular’ people (i.e. not millionaires) still do live here, but in modest dwellings. 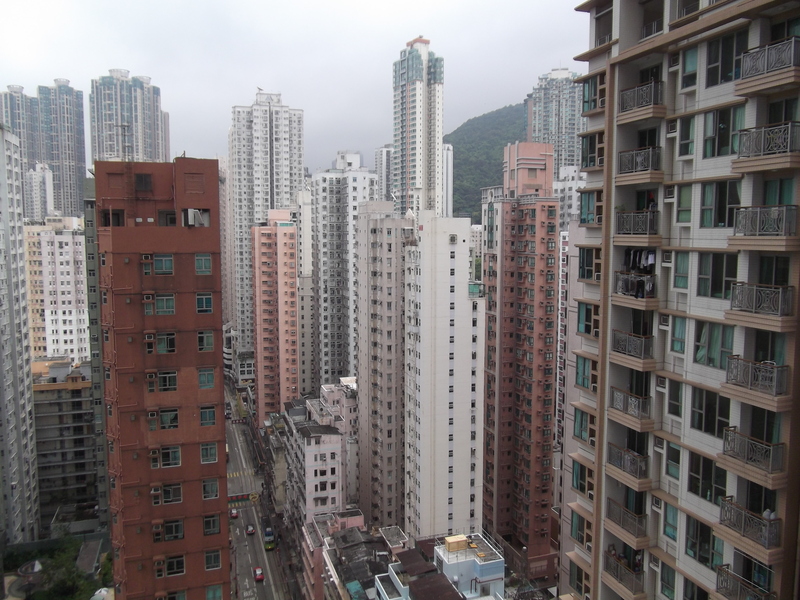 Many flats are small, old, and sometimes don’t even have elevators. Yet they can command incredible rental prices. 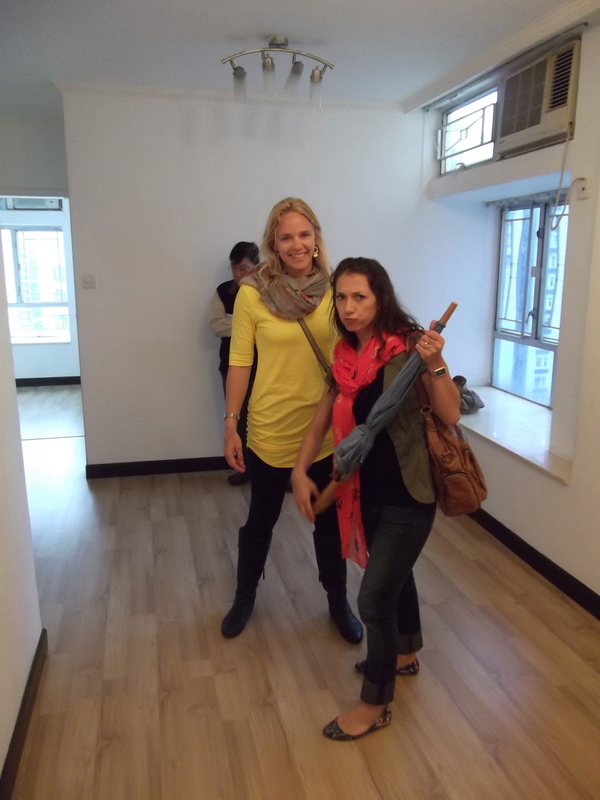 Somehow, they can turn 250 square feet into a 2-bedroom flat, and charge US $1500 a month for it. The nicer places which actually have enough room to throw a cat cost one heck of a lot of money. Yesterday as I saw a few places my heart sank. Perhaps living on the island is not impossible, but it will require a major downsizing in terms of square footage, and a major upsizing in budget for rent. 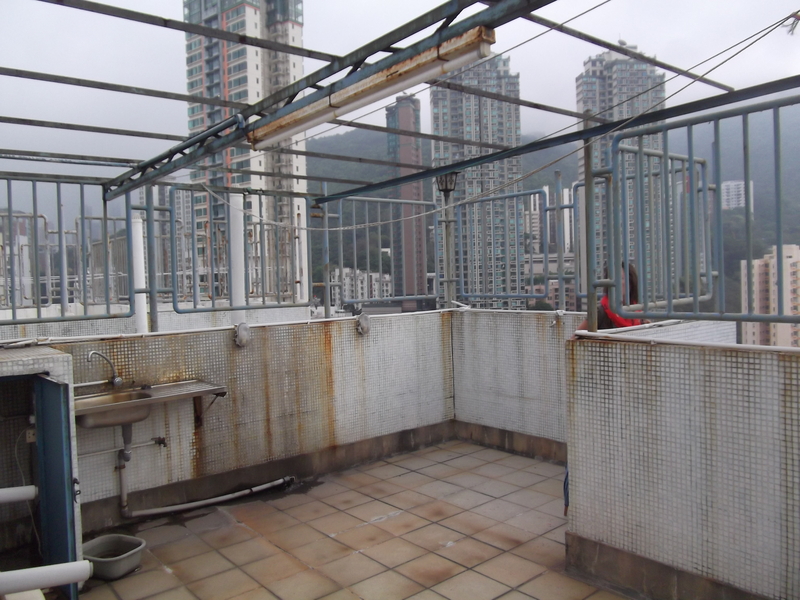 Really crappy roof top -- believe it or not this can add a LOT of value to a property as people renovate it and fix it up into a swank patio liming area with plants, BBQs, lamps, and furniture. This afternoon I am heading back downtown and hitting the pavement to try again to look around. Wish me luck! We’re thinking of you as you try to find the right place. I wouldn’t even know how to start.